Hello my Jellykins! 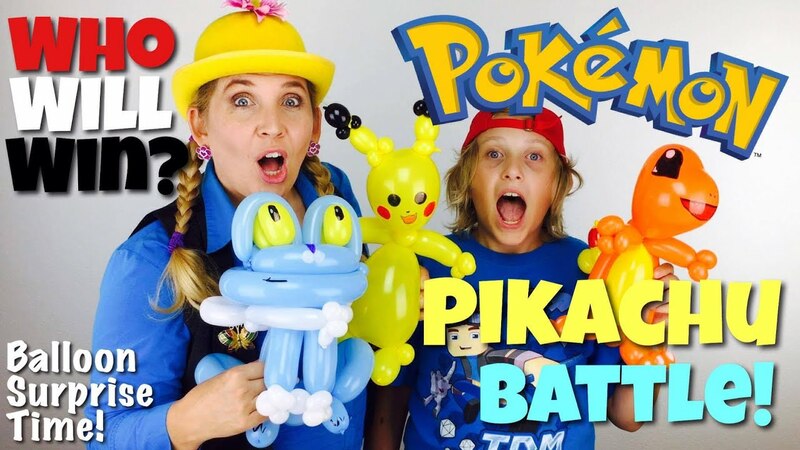 On this episode of Balloon Surprise Time, Kid Caed shows up hunting for Pokemon playing Pokemon GO! To help him, Shelly makes a Pokemon Balloon! There is even a Pokemon Battle with Pikachu! Who will win the Pokemon Battle? Oh…and please be sure to check out the YouTube channel of Kid Caed. If you like Minecraft and fun challenges, you will love his channel! Check me out on his channel. I play Minecraft with Kid Caed! It is so funny! Thank you Kid Caed for your great balloon idea! I had FUN in the Pokemon Battle! Good luck finding more Pokemon and remember to be safe! Shelly has fun popping balloons and counting all the pops! I love to hear from all my friends and receive pictures and notes. Please send them through my Facebook page below. PLEASE SUBSCRIBE….PRETTY PLEASE WITH A CHERRY ON TOP!